We are pleased to announce our partnership with Aioma, an ecommerce agency located in Zurich, Switzerland. Aioma is Switzerland's leading specialist agency for digital commerce and e-commerce. 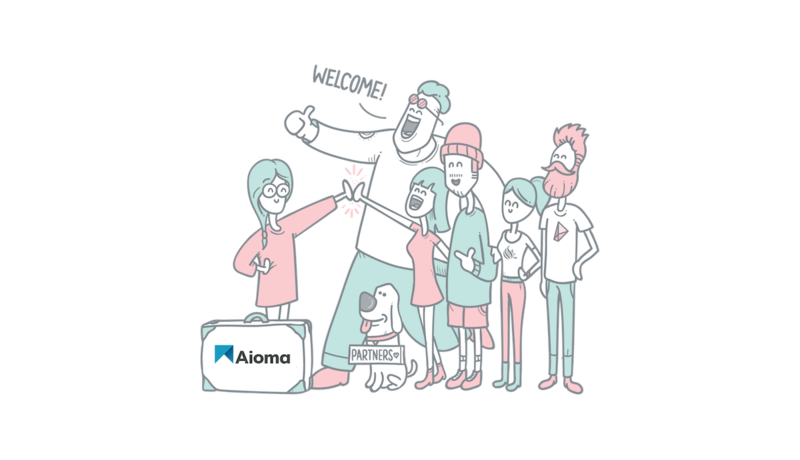 Aioma has some of the most experienced and passionate e-commerce teams in Europe. They have become a permanent fixture in the German-speaking e-commerce world. With numerous solutions for international brands like Fujifilm, Navyboot, ABB, Swisscom or Universities of Switzerland and the federal Swiss Innovation Agency they have achieved national and international recognition in the last 14 years. Welcome Aioma! Cool to have you on board. They develop e-commerce solutions: online shops, product platforms, marketplaces and other transaction-oriented applications. For visionary and innovative companies in B2B & B2C, mainly in industry, food & beverages and pharmaceuticals. By using the most suitable software for each business area, they consistently gear companies for modularity to ensure an integrated, highly flexible system landscape. Because they value their customer’s seamless experience and believe that agility and speed are today’s leading competitive differentiators. They are using a highly scalable e-commerce platform that supports a modern microservices architecture, offers a wide range of integrations and is designed for API-first and cloud native. Perfect for Crystallize!